Cockfighting is a national pastime in the Philippines. 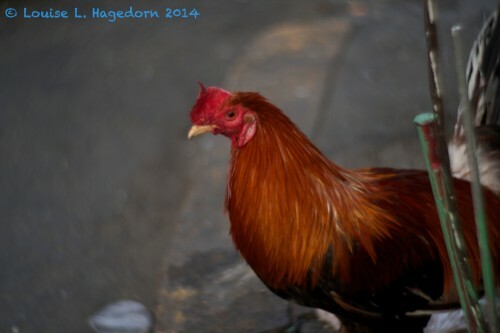 Even in the city, sabongeros raise and care for roosters in any space they can find. One common area I find roosters in is in between electrical posts.